After Microsoft take over Nokia Inc, now Google has also made some change to its product called "Android". As we all know that Android is the one of the popular operating system for mobile phones, Google has announce a new change to its products. From the months back there was a news that Google is going to launch its new version of android i.e Android v5 as a name of "Lime Pie", but today Google have made something different with that. 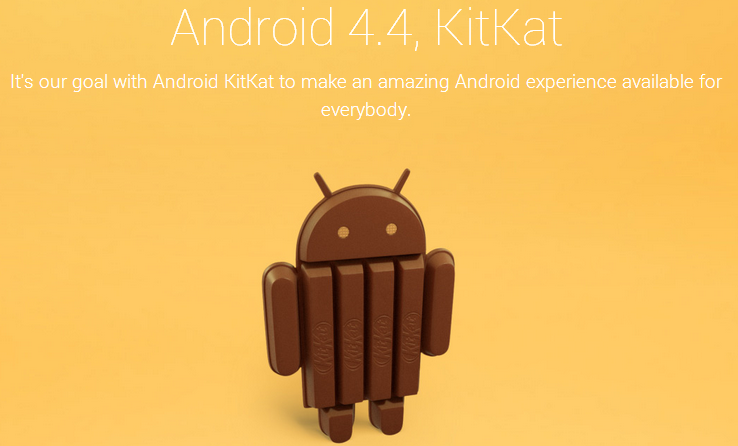 Now the new version of Android 4.4 will be called as "Android Kitkat". Yeah... it is right that, Google is naming the next version of Android after one of our favorite chocolate treats, KitKat. 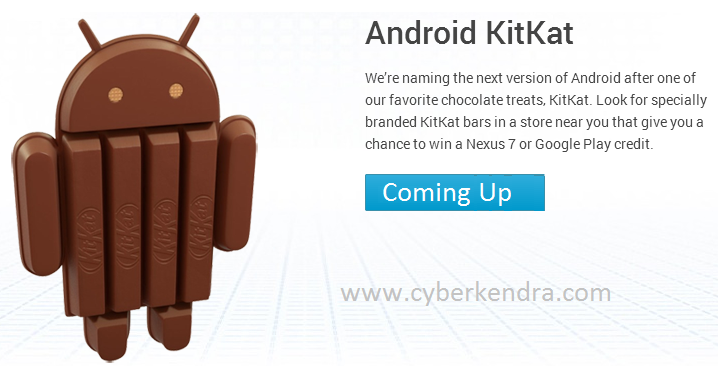 This version of Android will be debuted on launch of Nexus 7. Google says that, till over more then 1 billion android devices is power up, and each device is flavor with the different taste of Android. Each Android version is named after a dessert: Cupcake, Donut, Eclair, Froyo, Gingerbread, Honeycomb, Ice Cream Sandwich, and Jelly Bean, same as this version of Android will also have some different taste.